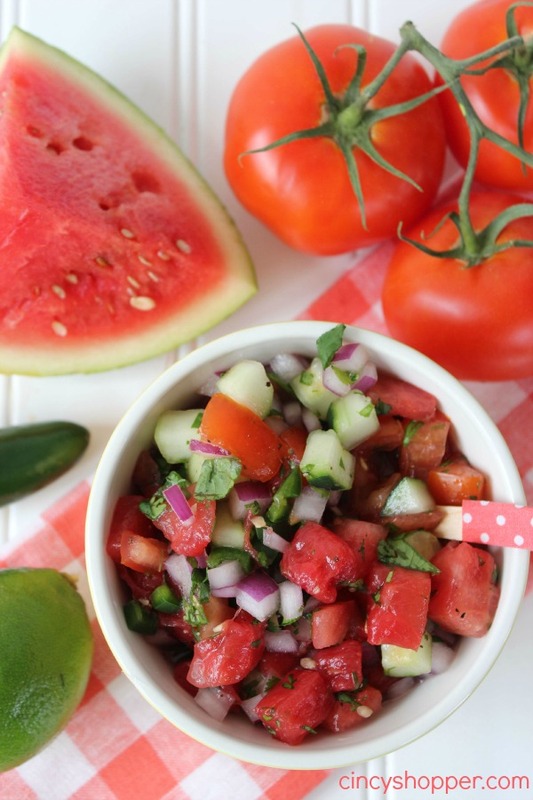 This Fresh Watermelon Salsa Recipe is going to quickly become one of your favorite summer salsas. With summer just around the corner we have been enjoying many more fresh fruits and vegetable recipes. After falling deeply in love with my Fresh Strawberry Mango Salsa (yes… I mean deeply ha ha) last week I was anxious to try another fruit and spice based salsa. The hubby was also anxious too which is surprising as he is not much of a fruit fan. 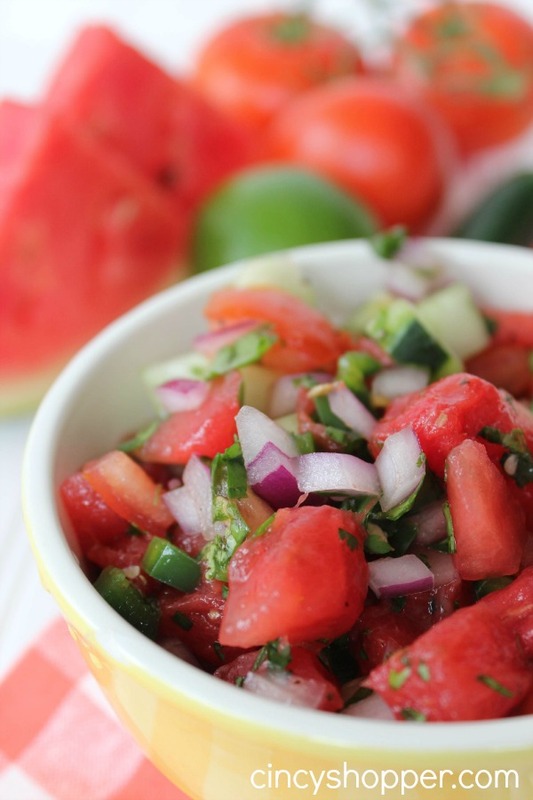 This Fresh Watermelon Salsa Recipe turned out just perfect. I played around with the flavors a bit and think I have it PERFECT. I know it is going to be great for a salsa with tortilla chips at our next grill out. 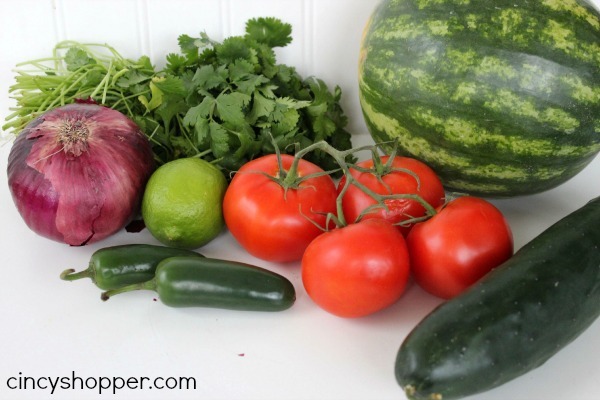 The watermelon releases some great juice that blends real well with the cilantro and the jalapenos. 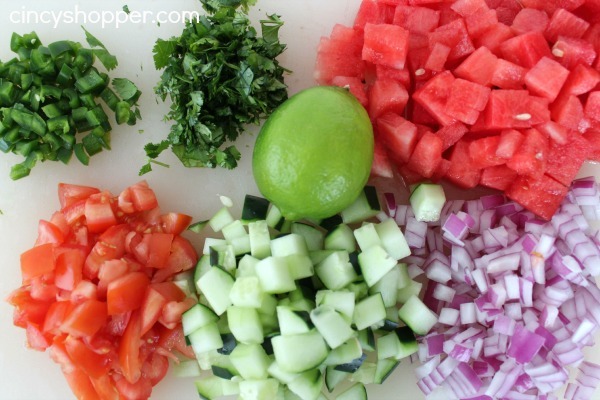 Then the addition of the tomatoes and cucumbers made this salsa perfect. I considered adding a touch of balsamic vinaigrette which I may give a try last time. The salsa was full of flavor without it though. For this Watermelon Salsa you just need a few ingredients to make a yummy fresh and spicy bowl of salsa. I used watermelon and tomatoes so I could have both flavors present. 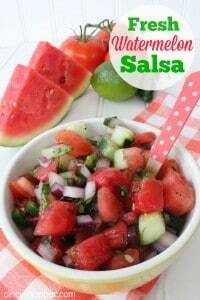 If you are needing a great salsa recipe be sure to give this Fresh Watermelon Salsa a try. You will be sure to be making more batches all summer long. 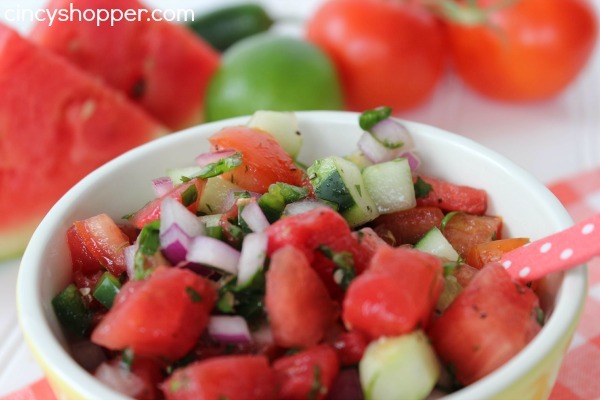 This recipe is great to toss together after you have had a watermelon for a treat. You can use up that left over watermelon.